Running web apps in the cloud can accelerate deployment, improve scalability and control costs. But you need to find ways to anticipate and address problems before they result in unplanned downtime. Learn how to track activities and identify potential issues with a Cloud Foundry app running on IBM Cloud™. Deploy a Python-based app created using Django. Then generate, search, analyze and visualize logs with Kibana - offered through IBM Cloud Log Analysis. Use IBM Cloud Availability Monitoring to track app availability and receive notifications if health issues arise. 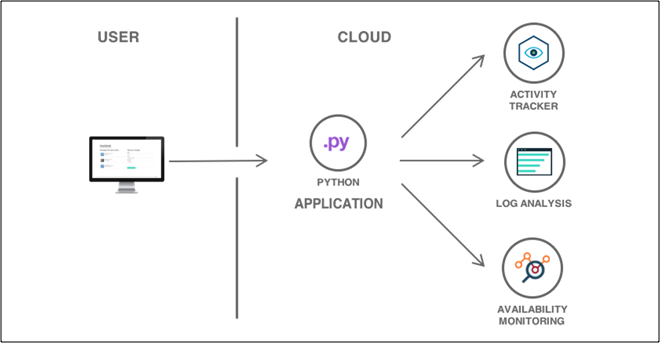 Deploy a Python Cloud Foundry and generate different types of logs to search, analyze monitor and visualize using Kibana. Kubernetes is how enterprise teams scale container-based applications. Learn in the tutorial how it works with a Java web app. MEAN stack is a common choice for developing, deploying and managing a modern web app. Get up to speed with a tutorial. LAMP underpins the WordPress content management system. Learn in the tutorial how they come together.